Unless you have been living under a rock you should know that the best nitric oxide supplements are recommended by many supplement sites to increase muscle mass and give you a better pump. Most of them contains amino acids that supposedly give you a better pump. Nothing better than a pump right? That is my goal every time I go to the gym. I love the feeling…just today I did some dumb bell pull overs and the pump I got was painful. My triceps felt like they were totally jammed with blood. 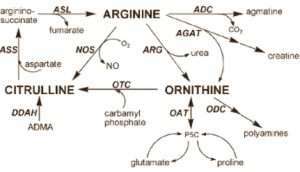 Anyway, most supplements that claim to give you a better pump are made with amino acids..most commonly Arginine. Probably the best selling one of all time is a product called N.O explode. That contained a bunch of aminos plus caffeine and a ton of extracts. Quite honestly I read the supplement facts label and this NO explode product is nothing but a kitchen sink supplement. Why so many freakin ingredients??? I’ll tell you why because none of them work. 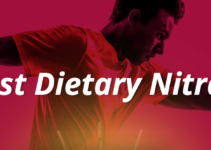 So let me give you my opinion of what I think is THE best way to BOOST nitric oxide levels in the blood and what the best nitic oxide supplements could be. No it’s not some amino acid or some silly extract. The ingredient simply is a a food, which I’m sure you’ve heard of called beets. Beets you see contain high levels of organic nitrates. Nitrates have been shown to increase nitric oxide in the body. Now here is where it gets good. You can find supplements that are simply beet root juices and things like that. Dietary nitrates found in beets are the best nitric oxide products you can buy. Click To Tweet However in the mean time I would try just to consume beet juice PRE-WORKOUT. If you can find a powder than go for it. At the time I wrote this article there were not high quality beet root powders available. 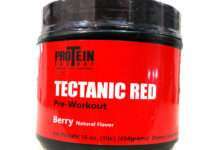 But since then, my company has released a product called Tectanic Red. The ONLY product in the supplement industry that tests for inorganic nitrates. You can buy it here. But here is some bad news. I did some research looking for beet products online and found a lot but not one single one of them TESTED for dietary nitrates. They all CLAIMED that their products contains nitrates but none of them actually did the tests? Why not? It is literally like a $500 test. They spend more money on designing their damn websites and whatever else I don’t understand why they cant PROVE their beet product contains such and such dietary nitrate. Any how, you can be sure that when I come out with my beet product we will have the NITRATE level listed on the label INSIDE the supplement facts panel. In the mean time, if you decide to buy a beet powder try calling up the company whom you are buying it from and ask them to see a 3rd party lab analysis on the level of dietary nitrate in the product that they are selling.